The Dom is a massive and impressive mountain in the central axis of the Mischabel group, located between the Täschhorn and the Lenzspitze. 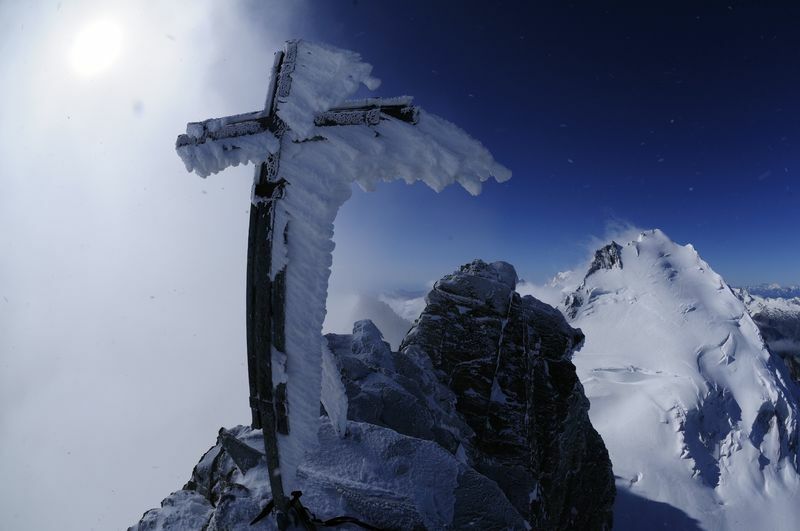 It is the highest mountain entirely on Swiss territory. 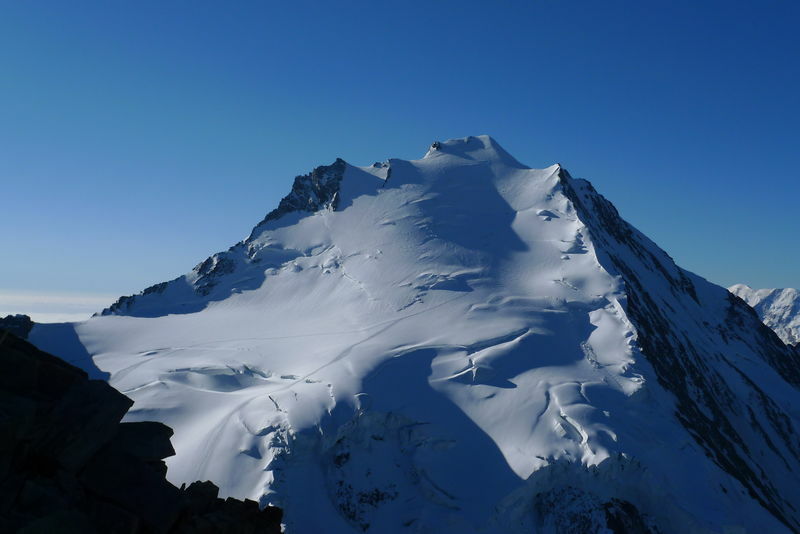 After Mont Blanc and the Monte Rosa (Dufourspitze, Nordend, Zumstein and Signalkuppe), the Dom is the third-highest summit in the Alps. 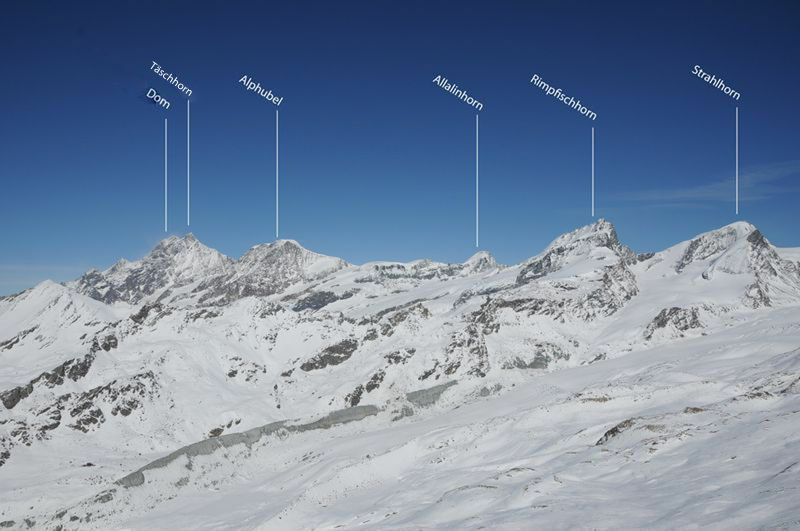 It can also be climbed on skis: the first such ascent was on 18 July 1917 by the British skier Sir Arnold Lunn, together with the mountain guide Joseph Knubel, the first person to climb the north-east face of the Eiger. 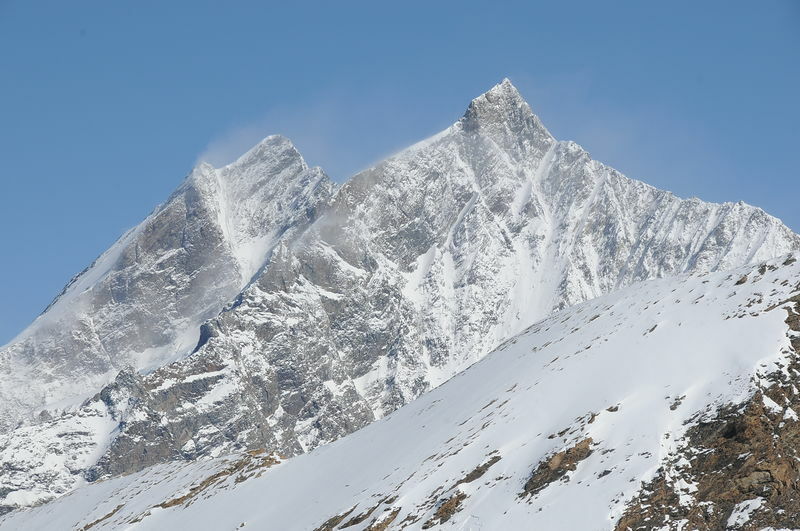 The mountain is said to have been named in honour of the Domherr (“canon”) of Sion, Joseph Anton Berchtold, the first person to survey the Mischabel group in 1833.